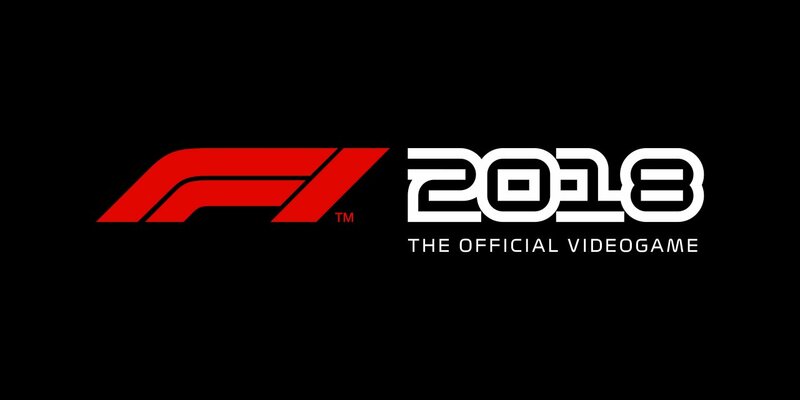 F1 2018 is set for release this summer on August 26th. 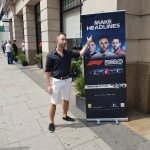 In anticipation of the incoming release, myself and fellow GameHype colleague Adam Neaves were invited down to London to the F1 2018 preview event where we managed to grab an interview with Creative Director, Lee Mather. Watch as we ‘Make Headlines’ of our own! We have also included the transcript of the interview below the video for those who have hearing impairments. Bettsy: Hi Lee, how you doing? Lee Mather: Yeah, I’m very good, you? Bettsy: Not too bad, I was very impressed with your presentation and the event. I thought F1 2018 looked like a huge increase in quality from F1 2017, that game was so well received, and I was quite pessimistic about how far you could take F1 2018 forward and improve it, you’ve smashed it with the changes that Codemasters have announced. 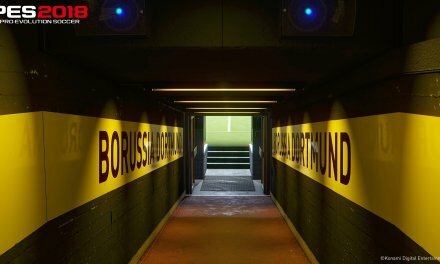 I just wondered if you could touch up a bit more on career mode and the changes and details made to this year’s edition? 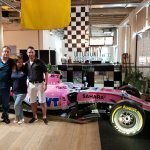 Lee Mather: We’re very much inspired by what we see in the world of Formula 1 and what you do see is, great on track experience which we do, you see all the development of the cars and teams, that we do. You also see the drivers, the characters and the style of character they have. The more boisterous, louder sort in the press, the things they say, somewhat more controversial. Then you get the drivers that will always play things down, saying the done thing/right thing. We wanted the player to go through those considerations as well. Like I said in the presentation there’s the sportsmanship/showmanship, there’s no right or wrong there, it’s your character type. People are different character types, and you use that to motivate the team. So you might want to motivate a certain department, and how you respond to questions in the press will actually motivate or de-motivate. If you’re looking at moving teams, again that will determine your value as a driver. Who considers you a strong driver, poor driver. Also, some teams will want someone of a certain character, because that fits in with their culture, how they work, and drive forward as a team. Bettsy: So in regard to the sportsmanship/showmanship does that affect the contract negotiations and what you may demand? Lee Mather: So, it’s very much a case of everything feeds into your value as a driver. That’s the most important thing during contract negotiations, so my value as a driver is impacted on by the way I reference teams, I may reference my team positively, my value goes up. I might reference another driver/team negatively and then my value with that team goes down. It may also be, that I’m looking to move to another team but my character types are slightly different to what they want. I could be showing showmanship and they want sportsmanship, it just gives me a slightly different approach in how I go for the negotiation, then when I have my value as a driver that’s what I can use to bargain to get my drive for that team. I can say I want this perk, that perk, I wanna be the first driver, I promise I’ll get you these results. That’s when the team will very much be like you’re not that valuable, you’re not in a position to demand that, what the hell do you think you’re doing! Bettsy: How challenging was it to implement all those changes, it’s a huge increase on F1 2017, so how did the team find that? 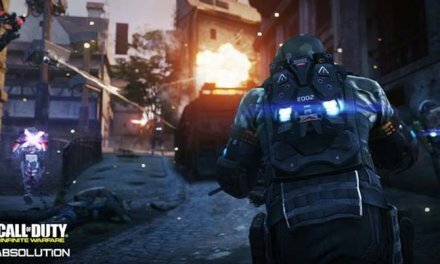 Lee Mather: The first thing that we did was we set out to make sure it was always going to touch meaningful areas of gameplay. There’s no point putting in an interview system if there’s no outcome from it. That was really important for us to try and tie all those systems together, it’s a vast spider of different things that can happen, and obviously, that needs to be giving a meaningful outcome to the player. Impacting on so many areas, so I think the systems beneath it are absolutely vast. There are so many things, and the deeper values that we see on the screen, you can see so many outcomes and different paths that can occur. To the player, it just comes across so naturally that their perception in the paddock is seen in one way or another. Also when you answer the questions if you make something happen, thats very obvious like motivating a partner, upsetting a driver we make that very clear to the player and what the outcome is. Bettsy: This year there’s an AI called Clare, (the interviewer as such) can her mannerisms/actions change throughout the course of the season, depending on how you drive and how you’re doing for the team? Lee Mather: Yeah, so she’ll approach you in such a way that is very much based on what has just gone on. If you’re having a quiet season, things aren’t going on, she’ll ask you questions about how your seasons going, is there any problems, how’s the team doing. If you’ve had good races she’ll approach you in a positive way “that was a great result”. If you don’t answer her questions, choose to ignore her, it’ll get to the point where she will get short with you. Also if you get to the point where you really just completely ignore her, you’ll get a slight telling off from your agent as well “You’re not playing the game, not playing ball here, you can’t be that rude to the press”. Bettsy: Well, we certainly don’t want that. 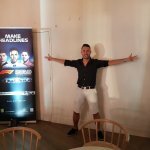 Bettsy: With the E-Sports that was newly implemented in F1 2017, from what I can see that was a huge success, what changes will be made in this years edition? Lee Mather: The main thing is that the structure of the E-Sports qualifying, rounds, and things have been drastically changed through the last year. You’ve probably already seen we have run the E-Sports qualifyers through the F1 2017 game. They’ve now had the races where we actually build a broadcast suite in our southam studio. We broadcast all of the E-Sport 2017 races from there. Now that’s gone through, the drivers have gone through a phase of real life driver experiences. Being fitness tested, changed tyres, media training. As it ties into the game, you’ve gotta be the whole package, it’s not just about being quick. 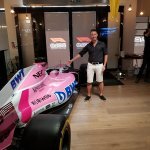 The next phase for those guys is they went through the pro-draft where real teams will pick drivers to represent them in the F1 2018 E-Sport finals. So now we have another bunch of rounds that will produce new finalists. Bettsy: I think I’m in the wrong job Neaves, I need to get on this! Lee Mather: It’s a real job, the time and effort that they dedicate to it. The ones who knew they were going through to this next round, they trained so hard in the gym, it’s really incredible to see how it changes peoples lives upside down. 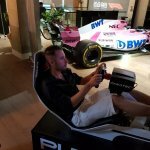 Bettsy: How would you advise a more casual F1 driver to get into the E-Sports competitive scene? Lee Mather: Yeah so I think the cool thing this year is that we’ve added a super license to the online play. The thinking behind that was we wanted to get more people online, enjoy the racing, clean racing. So we often had feedback from people saying “ah, I’d get into a lobby in the evening, and a couple of laps in, somebody is doing badly, and try and wreck the whole grid” before they get disqualified and other rules kick in that manage to disrupt enough players races to destroy their experience. 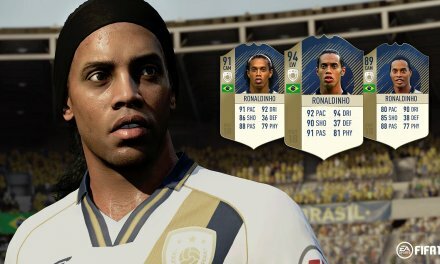 The super license is there to rate players and their skill and safety rating. If you’re not particularly quick that’s fine you’ll be matched with similarly skilled players. If your safety rating is low you’ll be matched with other dirty drivers that race that way. We’re hoping to start to feed the E-Sports series by getting more people online, more people enjoying the online experience, to breed more competitive racers who enjoy that clean racing experience. Bettsy: On the Xbox One, I did notice that there was a few problems with the lobbying system on F1 2017. Has there been any changes or improvements for the lobbying and matchmaking systems this year? 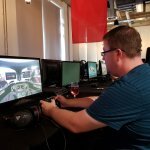 Lee Mather: So as I mentioned today in the Presentation, a lot of the multiplayer work this year has gone into the technology behind it. So, the multiplayer team have been working on the back-end systems of the game, data analysis and data collection. We’ve been running two sessions of the beta already with another one to come. We are using the data with that to give us much information and knowledge of what is going on within the multiplayer, as well as focusing on the Super License system. Bettsy: How difficult was it to implement the new track, Paul Ricard? Lee Mather: It’s a big circuit! It is a very long lap. I was driving it earlier with one of the classics and we’re looking at 50 laps and especially with the pace that some of the classic cars run at! Thankfully, compared to some of the other circuits, it is actually a circuit that already exists. We’ve had to build tracks in the past that haven’t even been built in real life yet. However, we got all of the data nice and early regarding the track, such as sending out our photographer out there to get some great references. We had a driveable version of Paul Ricard very early. Whilst we weren’t sure which layout was going to be used, we built the whole track so it would cover all of the layouts. It’s also not just the track, you’ve got all of the region behind it such as the trees and the forests, which is all there. Building tracks is actually the most time-consuming thing we do for the F1 games. Bettsy: I have to ask, what is your personal favourite track? Lee Mather: It’s quite an obvious one really, it has to be Spa! Not only because it looks and feels great to play it in the game but I actually got the chance to go and play a track down Spa many years ago! I’ve driven lots of tracks but Spa will always be the one that sticks in my mind and it was certainly something rather special. It’s hard to understand how actually steep the track is until you go and see it for yourself. Lee Mather: For the visual side of things, we’ve actually appointed a new Art Director. When I personally look at things, I just see it for what it is but the Art Director can literally dissect everything about the image he has and put it in the game. 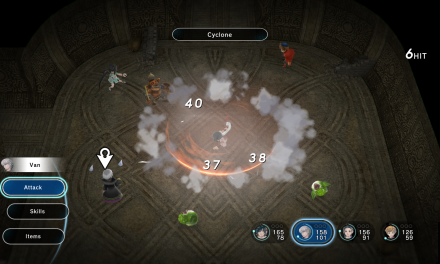 For example, the Atmospheric Fog in the game. There always feels like there is an atmosphere around us, or how the Sun defuses the clouds. All of these things are how it makes the image look so natural in the game. There a lot of things that individually, you wouldn’t think look too impressive but when you put them altogether, it looks so real. Bettsy: Touching on Career Mode, have you ever considered implementing a Vintage Career Mode, where fans could take on the career of some of the classic drivers, perhaps as a separate mode? Bettsy: The most important question of the whole interview now, Lee! Who is your favourite driver? Lee Mather: I don’t think it’s fair to say favourite! However, I’ve always been a big fan of Lewis Hamilton. Not just because it’s easy to like the drivers who are winning but because I watched Lewis come through from GP2. I’ve seen some of his performances in the races there, such as back at Silverstone when he was in his final year at GP2. His performance is something that I’ll never forget that day, because every time he came out, the crowed just roared! That was something absolutely unique and when the race finished, he got a deservedly standing ovation. Everyone, including myself thought that day that Lewis Hamilton was going to be something special in F1 and he certainly has lived up to that billing. Not many drivers come into F1 and live up to the potential but Lewis certainly has. Lewis certainly shows the Showmanship part of F1 2018, where he has let his emotions come out and that is what we want players to experience in the game, whether you decide to leave it all out there or be a little more conservative. Bettsy: Thank you very much for the interview, Lee.